A few weeks ago I shared a post titled, How to Get Your Legs Looking Their Best, featuring Skintimate® Skin Therapy® Silky Skin Shave Gel with Moroccan Oil. 15 Canadian readers were selected to also have a chance to try out Skintimate® Skin Therap® Silky Skin Shave Gel with Moroccan Oil. After they tried it out and emailed me their review of the product, they were entered to win a $100 Visa gift card. The reviews are in! 13 of the 15 winners emailed me their thoughts. Check out their reviews below. 1. Linda K: I received a complimentary can of Skin Therapy Silky Skin Shave Gel with Moroccan Oil. I tried the new Skin Therapy Silky Skin Shave Gel with Moroccan Oil this morning. A small amount of gel produced a generous amount of thick lather. It was more than enough to do my entire leg. I didn’t notice any scent until I lathered up my other leg. It’s very subtle, not overpowering but a fresh pleasant scent none the less. Speaking of less, I don’t think that you’d need to use as much as my “other” brand that I was using previously. It’s almost 12 hours later and my legs feel VERY soft and silky. At the end of this VERY long winter my legs needed hydrating and this is certainly doing the trick. 2. Julie H: Thanks for sending the Skintimate shaving cream. I tried it and really liked it! It had a nice, fresh, clean scent that wasn’t overpowering. It provided good coverage and I really liked the creamy texture. I did not need to use a lot, because it covered really well and my skin felt really soft after using it! I am a stage 4 cancer survivor and while eternally grateful, my skin is still suffering the dryness that commonly affects from radiation and chemo. It is also very sensitive to most chemicals and additives in lotions and creams. Just to tease me, my body hair grew back in a ridiculous way. Although my legs look fairly smooth (except for the dryness affecting it), when I lay out in the sun and put on my glasses to read a book, I will see 3 or 4 (or 10?) wild ones in various spots, growing free and blowing in the wind! EEEk. So, last week, I got my Skintimate Shave Gel with Moroccan Oil and decided to put on the trusty glasses and shave the legs and ‘pits’. OMG .. the shave was so smooth and easy, but more importantly, after I rinsed off, my legs were scale free and looked so fresh and felt so soft. I have been reading about dermaplaning (shaving your face daily as practiced by Marilyn Monroe, Elizabeth Taylor and Cleopatra), but was afraid to try it and irritate my already dry skin. After looking at the dewy results on my legs, I took the bull by the horns and did my face. The Moroccan oil soothed as I shaved and my face is glowing and so fresh looking! I literally look like I had an expensive facial! No adverse reaction from the Moroccan Oil! I’m hooked and WOW!!! 4. Kristine E: I always smell a product first and to be honest the Moroccan Oil is not my favourite of the Skintimate products, but it is still nice. I have tried Skintimate products many times before and I have never been disappointed with the outcome. I love how easily the shave gel came out and how I didn’t need a whole lot of gel to cover my legs. It went on smoothly and made for an easy shave plus my legs felt really moisturized after the shave. I have tried other products and this has been by far the most moisturizing shave it smells good and is super easy to use. 5. Carole D: Thank you for selecting me for a review. I received the Skinmate Skin Therapy Silky Shave Gel with Moroccan Oil from Simply Stacie to write a review. My first impression when I open the lid and dispense a small amount in my hand to feel the gel was; I love the texture. The fragrance is light and perfect. During the summer month I shave daily in the shower with a Gillette Venus razor. I apply to the gel to the area I wanted to shave. The gel was very easy to apply and provided me with an amazing glide. I now have been using the Skinmate Skin Therapy Silky Shave Gel with Moroccan Oil for 3 days and my legs feels very smooth and less dry. 6. 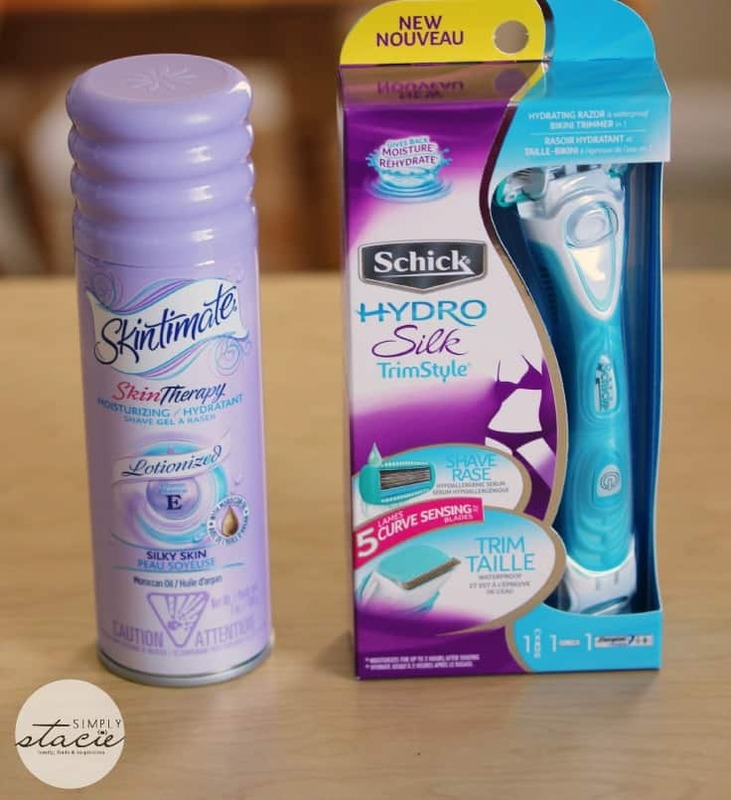 Judy C: I recently had the opportunity to review Skintimate Skin Therapy Silky Skin Shave Gel with Moroccan Oil. This opportunity arrived just in time to get my legs ready for the nice weather. After a long, cold weather my legs were long overdue for some TLC. The first thing I noticed was that it had a really nice scent. I used it along with a regular disposable razor and it worked great. It provided a very smooth shave with no nicks. I found that a small amount of the gel went a long way. My legs were very dry before and after shaving I found that they were moisturized and all the dry skin was gone. I was very impressed with this shave gel and will be buying it! 8. Connie P: I received the Skinmate shave gel with Moroccan oil. What a great product! It is goes on smooth and then easy to remove. It leaves legs feeling smooth and soft for longer than most other brands I used in the past. I will definitely buy in the future. 9. Belinda M: Armed with a new shaver and the Skintimate Shave Gel with Moroccan Oil….and 10 minutes of me time I tested this new product. I suffer from dry skin aned I find that many gels and creams cause my skin to be sensitive and flaky. Not the case with this product. I have used it three times now and love it! It lathered up all nice and thick and resulted in a nice close shave. My skin feels super soft, silky, smooth and did not zap the moisture from the areas I shaved. I totally recommend this product and thank you for the chance to review it. 10. Melinda: Want luxurious, smooth and near baby soft skin after shaving? Well then you definitely have to try Skintimate Skin Therapy Silky Skin! As soon as you apply this shaving gel, it starts working at moisturizing your skin, first to provide a smoother and easier shave, and second to keep your skin looking and feeling marvelous after shaving. 11. Nicole G: I was really pleased to be one of the chosen to try the new Skintimate SkinTherapy Shave Gel. And I have to say it did not disappoint. The Skintimate SkinTherapy Gel is a moisturizing shaving gel. It comes in a 7 oz. can that’s a pleasing shade of purple. The gel itself is creamy and purple. It squirts out as a gel, but when you apply it. It lathers up into a nice foamy white. And it feels very rich and lush. There’s not a lot of scent there, just some pleasantly, vague flowery smell. Nothing to write home about, but enjoyably nonetheless. It contains Moroccan Oil, Vitamin E, Olive Butter and Sunflower Seed Oil to help moisturize and it actually does. My legs are usually fairly dry from all the Spring wind, but this kept them nice all day. All in all a nice, rich feeling shave gel. I love the texture of it, and the way it left my legs feeling all day long. 12. Wanda B: I really liked the Skintimate Skin Therapy Silky Skin Shave Gel with Moroccan Oil. I love how smooth my legs felt after I used it. I believe that’s because of the Moroccan Oil that it contains. I also quite liked the scent. So much nicer than other shave gels that I’ve used. And, I must say, the container is really pretty, too! 13. Helen K: Oh my goodness I am loving this shaving gel! My legs have never been so soft and smooth! I really wish that Skintimate made a shower gel that would make my skin feel this good all over! The first thing I noticed was the scent, very nice but not too strong. I had no nicks and no ingrown hairs which I always get when I shave. I almost wish that my leg hair would grow back faster because it grows so slowly that I only have to shave about once every 6 days or so. Thank you for allowing me the chance to try this product! And now to the announcement of the winner of the $100 Visa gift card! 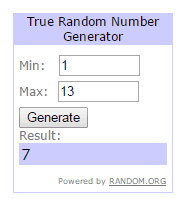 The lucky winner is……. Congratulations! I’ll be emailing the winner today. Thank you to everyone for entering and for sharing your thoughts! I loved hearing your thoughts on the product. Thank you to Skintimate for sponsoring this fun giveaway! After reading these awesome reviews I am going to search for the Skintimate SkinTherapy Shave Gel.It’s exactly what I am looking for because my legs need this moisture. After reading these awesome reviews I am going to search for the Skintimate SkinTherapy Shave Gel.It’s exactly what I am looking for because my legs need this moisture.I hope I can but it at Walmart! My Mom loves Skintimate shave gel as well. The smells are wonderful! Now I am thinking that I need to try this, my skin gets terribly dry and it doesn’t seem to matter what time of year it is. Great reviews! I will definitely be trying this new Skintimates product. Congrats to Angie S.! Congrats to the winner and great post. It’s really nice reading all their reviews and experiences. Shaving is an ugly neccesity and we all want the best way of doing it. Hmmm… I’ve often thought of trying it so after reading all of these reviews that sound more honest that a tv commercial I think I will give it a shot! I’ve been wanting to try the shave gel because of the Moroccan Oil. I have high hopes for it, and reading these reviews, I don’t think I will be let down. These reviews are great the Skintimate® Skin Therapy® Silky Skin Shave Gel with Moroccan Oil sounds wonderful. So far the only product containing Moroccan Oil that I have tried are haircare products. I can’t wait to try this. Thank you for sharing these reviews. I have been curious about Skintimate products, thanks!